United Way was pleased to report that on December 2nd, 2016, that the Crockpot Drive run by the SEL within United Way, had surpassed the original goal of 400 crockpots, with an estimated 630 crockpots donated at press time. United Way was humbled by the outstanding community support for the drive. Almost 50 business locations participated in the drive as drop off locations. United Way attributes a large amount of the success to Valley Health, who donated the first one-hundred crockpots at the First Public Report meeting, jumpstarting the drive. United Way also wants to thank area media outlets that supported this endeavor, specifically The Northern Virginia Daily that ran an advertisement to promote the drive in their newspaper. United Way wants to thank the all of the individuals from across the valley who made their donations, truly it was people from all walks of life and community organizations that came together to ensure this program's success. At the end of the day, we want to thank everyone who gave, because it was more than just giving a crockpot, we gave a warm meal, a way to cook, to stretch a dollar, to become more sustainable, and a way to bring a family together over dinner. Do you still have crockpots to donate? Please deliver them directly to Bright Futures-Frederick County. Please see the below photo recap of the drive, the collection day, and the video of the warehouse full of crockpots. 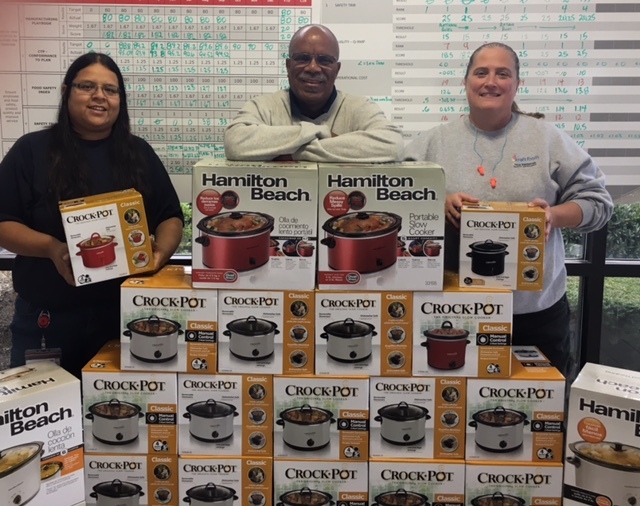 Kraft-Heinz collected an outstanding 75 Crockpots. 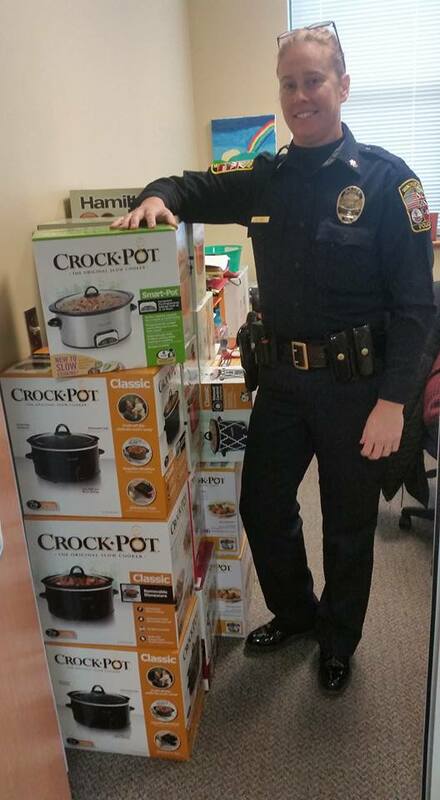 The Winchester Police collected over 30 crockpots. 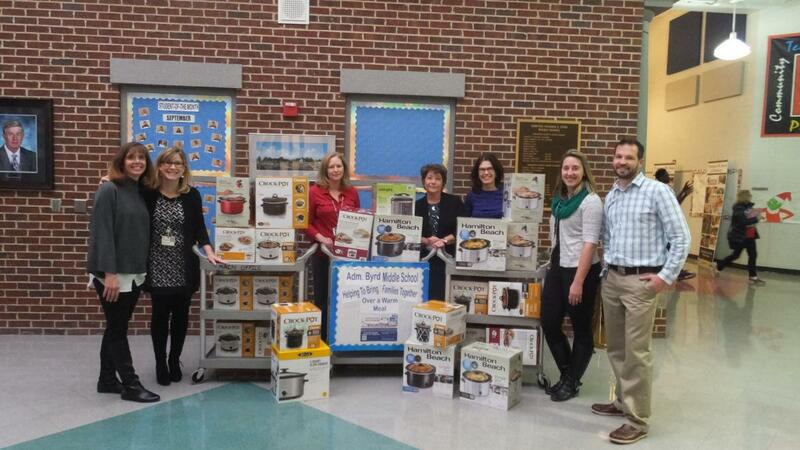 Admiral Byrd Middle School collected 30+ crockpots. 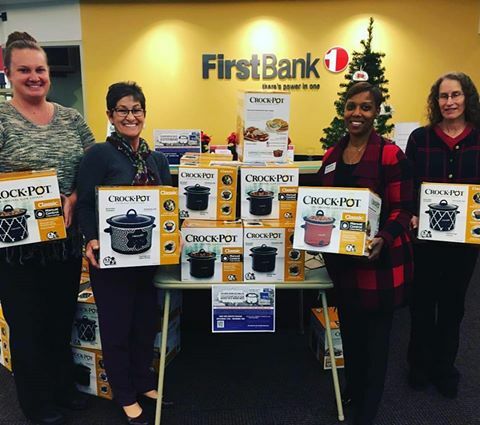 Multiple First Bank locations came together to fill an entire van full of crockpots. See the full list of participating donation sites here.